…until death do they part. Ever since I wrote Corvus Rising, I’ve considered in great depth and detail how the other living beings on Earth are more like us than not. We humans are fond of viewing our species at the top of the evolutionary ladder that we invented to explain the differences in anatomy and intelligence between Us and Them. Our species is evidently highly favored: the very Deity we invented created Us to have dominion over Them. More and more, however, it is apparent that our world view of creation is all wrong. And then there’s that little pufferfish, whose connection to the Universe I share. Blows me away. We are all hooked into the same life-giving forces, by whatever deity you or I wish to call it. I like to call it Art. 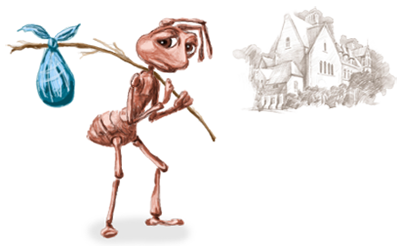 Ants are pretty cool; among my favorite books as a child was The City Under the Back Steps—a marvelous story of a couple of kids who magically get shrunk down to ant size. Natural science from a fictional children’s book: a marvelous way to learn. I am a fan of ants, more or less. As long as they don’t invade my house or sting me. I watched nervously one summer as a gigantic ant colony constructed a subterranean civilization around the size of Denver (relatively speaking, of course) in my backyard. The problem with the humongous ant colony in my back yard: their sheer numbers so close to where I live. They kept opening up exits and entrances all over the place, including right next to the porch and back steps. Made me nervous. These are the kind of ants with the big jaws on their heads connected a sack of poison on the other end that is at least a third the size of their whole bodies. Ant bites are bad news. Painful bad news. Every time one injects me with its personal stash of formic acid, it’s worse than the time before. So I am looking a little askance at the city under my back steps. I don’t want them there, but there they are. And I am outnumbered. Pathetically outnumbered. My father used to pour gasoline down ant holes and light it. Horrifying. So are pesticides. 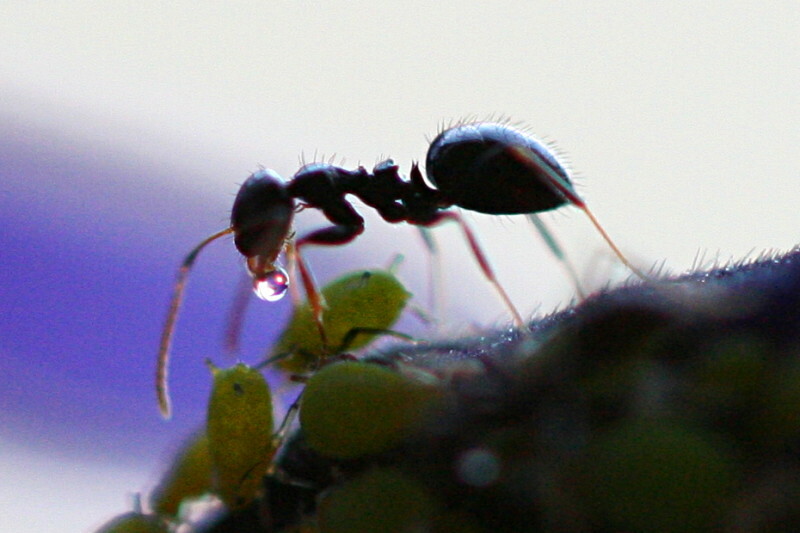 I do believe the ants have a right to be alive and pursue their ant-like goals. Just not so close to my soft, living flesh. I didn’t want to kill them. I just wanted them to move. I flooded them out with the garden hose, a slow trickle of water that filled up the vast network of caverns and passageways. Jillions of ants floated up and out; most found things to cling to and rode the current to edge of dry land where they disemarked. As soon as I turned off the water, the ants went to work re-building what I had ruined. The next day, I filled the ant hole up again, and ants bubbled up again. When the flood stopped, the ants started building again. I marveled that none of them went belly up on the sidelines, waving their six little legs in the air, otherwise whining and bellyaching about unfair the universe is, or how hard their lives are. We do that. The animals don’t. They get over it and get on with living. The end of the ant story: I kept watering the ant hole and they kept rebuilding. I admired the hell of them. No complaining, no retaliation. Just one foot in front of the other five, and with a pebble in each jaw, they rebuilt. And I kept destroying. We went on like this for days, me alternately admiring them and destroying them; the ants just kept rebuilding. They finally moved. They got sick of it, evidently, of spending all their time rebuilding their colony after the continued disaster I brought them. So they moved, lock stock and nursery to the alley behind the house. A recent blog post, And then it was Art, featured a delightful video of a pufferfish creating a work of art in the sand, as if he could somehow visualize what the final piece would look like. That’s what artists do—we create a physical manifestation from an internal vision. Who knew a little fish could do that too? Surely it is not a sign of high intelligence and sentience in humans, but merely an instinctive mating ritual in the pufferfish. Heretofore, I’ve been guilty of a quite bigoted attitude, you might even say species-ist, against pufferfish everywhere. I have in a most unaware manner, equated art with superior intelligence and sentience, and discounted the very idea that this tiny fish could be either. For most of my life I have bought into that dogma. Until the pufferfish came into my life. What if the pufferfish is actually highly intelligent as well as aware?—but how would we know? When the standard of intelligence is set by us, and has everything to do with our anatomy? So what is sentience, exactly? Some say that the ability to plan, visualize, and construct is a sign of sentience. That sounds like architecture, actually. 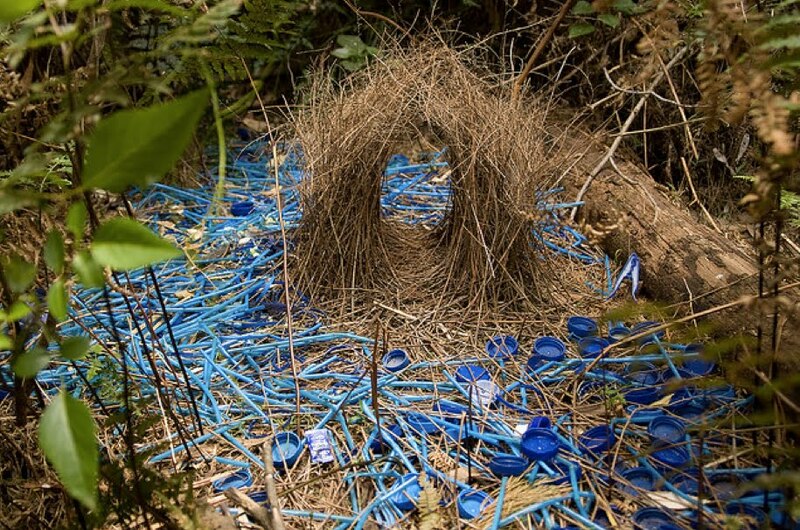 Art and engineering combined if we do it; instinct if another animal does. Sense perception means the ability to feel pain and loneliness. And to suffer. I wonder if there is a living creature anywhere that does not feel pain? Or loneliness. Everything that lives probably feels pain. I’m thinking maybe microbes don’t, but how do I know? Just because they’re microscopic? Am I again being species-ist, also known as myopic? Maybe art and sentience have nothing whatsoever to do with one another. 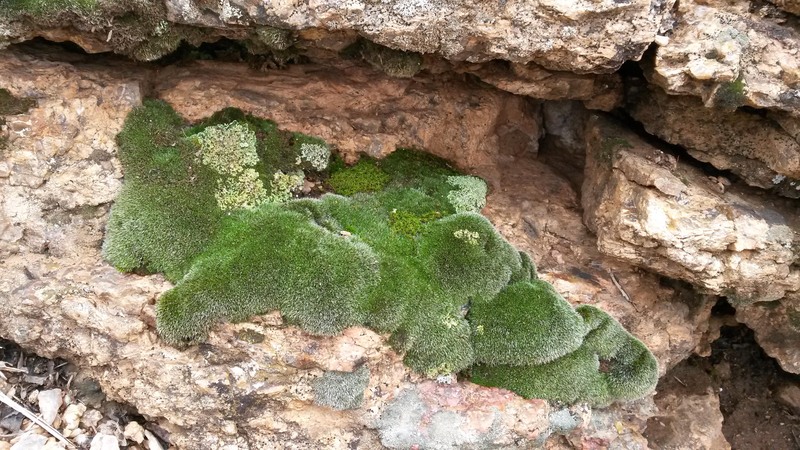 Consider also the lush green moss gracing a quartz and pretty pink feldspar rock called Orthoclase. As if the moss was painting on the rock. Can we even consider sentience in a plant? If you take a closer look, past or within the velvety green luscious amazing moss, there’s a few other creatures in the rocks. As it turns out….moss is an allotrope, meaning it’s a primary plant producer upon which the food supply of the entire animal world depends. 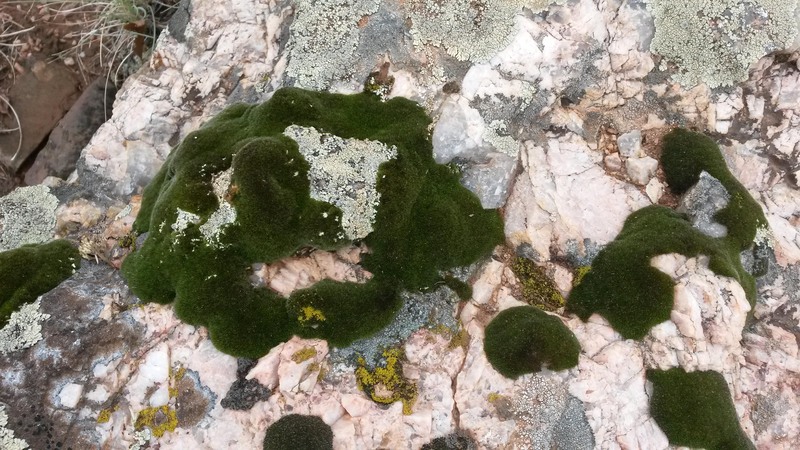 Contrary to popular belief, moss does not eat rocks, it attaches to them in order to get water; it’s energy is derived from the sun, as is true of all plants. So what’s the lighter green stuff? Not moss, not even plants. They’re the rock eaters, the lithotropes, aka lichen—microbes that feed off the chemical compostion of rocks, or whatever they attach to. Lichen form a symbiotic relationship with the moss. Some are pale green, some are yellow, orange, they’re all amazing. Are these creatures aware of their artful expression of living; their unique and endless variations of a verse in the great song of the Universe? I am totally charmed. 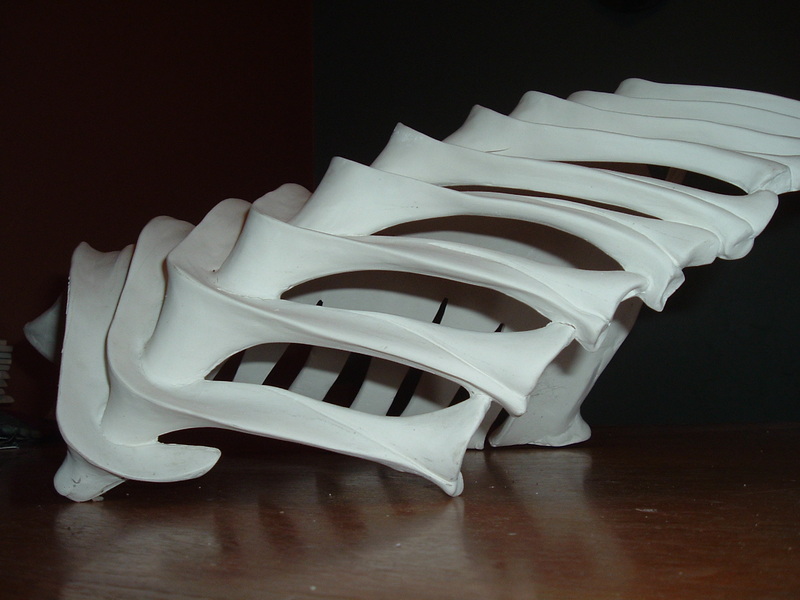 Who knew pufferfish are masters of art and architecture? 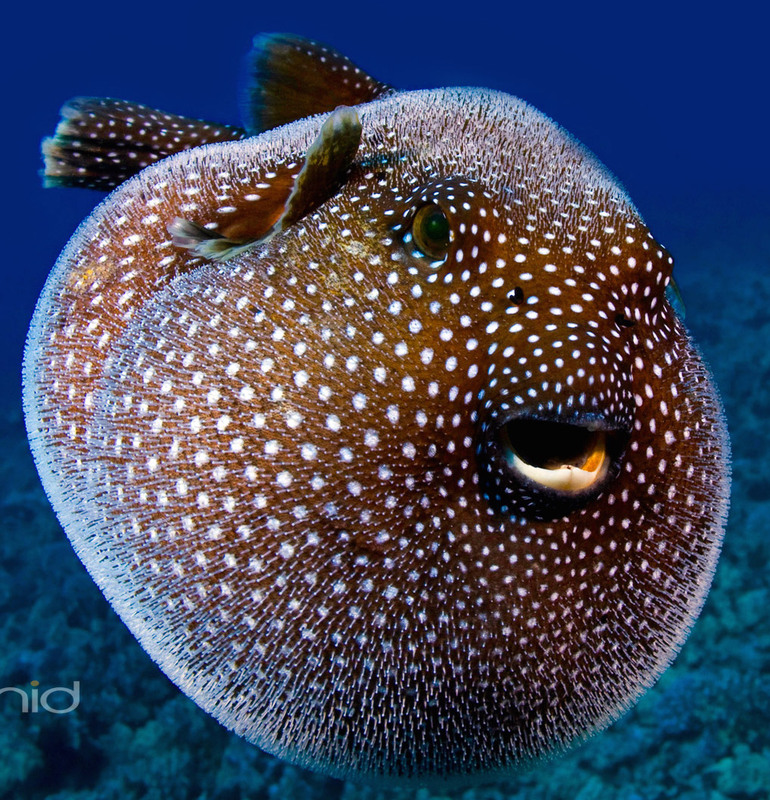 The scientific powers that be attribute the whole thing to a mating ritual and the sole purpose of the pufferfish’s activity is to impress a female. I am impressed. Thoroughly and completely. I feel a certain kinship to this pufferfish, who pulls his vision from the sand. I work in clay—rarely if not never do I sketch things out first on paper. It’s not that I cannot draw, it’s that paper is but two dimensional, and clay is three. For me, it’s just easier to ‘draw,’ so to speak, with the clay in the first place. The pufferfish didn’t draw it all out first either, for obvious reasons. No paper, no writing utensils, no thumbs…just an internal vision that drove his entire body in the performance of art. That’s how I do it too, engrossed in my task and operating from an internal vision that informs my hands to construct the compendium of details that comprise the whole. We humans draw a firm boundary between ourselves and the rest of creation, based on a standard (set by us) of intelligence and sentience, which undergoes periodic redefinition to exclude all of creation except us. Originally defined as the ability to feel and perceive, the definition was expanded to include an ability to suffer. Once we started noticing that all animals have that ability, self-awareness became the defining quality of sentience. I can’t imagine how the pufferfish created his art without an awareness of himself in his oceanic landscape of water and sand. Why is it that the creation of art is an instinctual mating ritual in the animals, but a sign of sentience and intelligence in us? Until the pufferfish first maps out his sculpture on paper or via computer graphics, or when the bowerbirds use differential equations to construct their nests, they’ll never even approach us intelligence-wise. Cool that we get to not only set the standard, but keep changing it as well so as to exclude all that is non-human. But why? I am over-awed and comforted by my kinship with the little pufferfish creating a work of art the same way I do—from an internal vision, using his physical body. I doubt very much, however, that I could create this or any piece of art with my nose. From that perspective, the pufferfish is quite a bit more talented than I am.